Sharp Design. 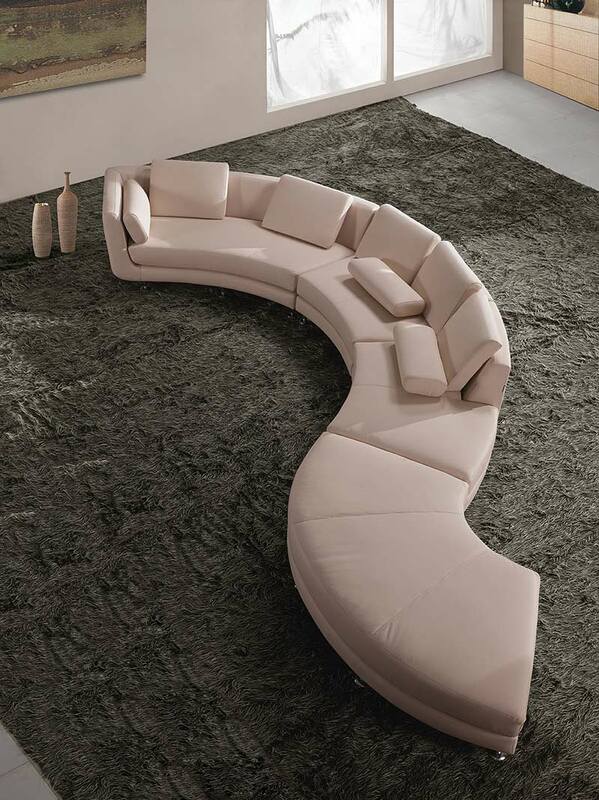 Curved Sectional In stock color . Espresso, Off white, Red . 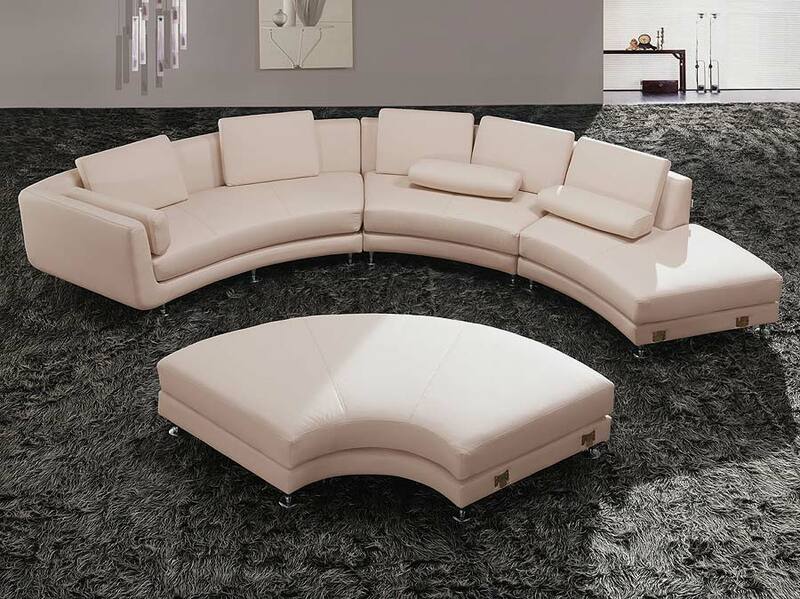 Modern elegant contemporary sectional sofa set. 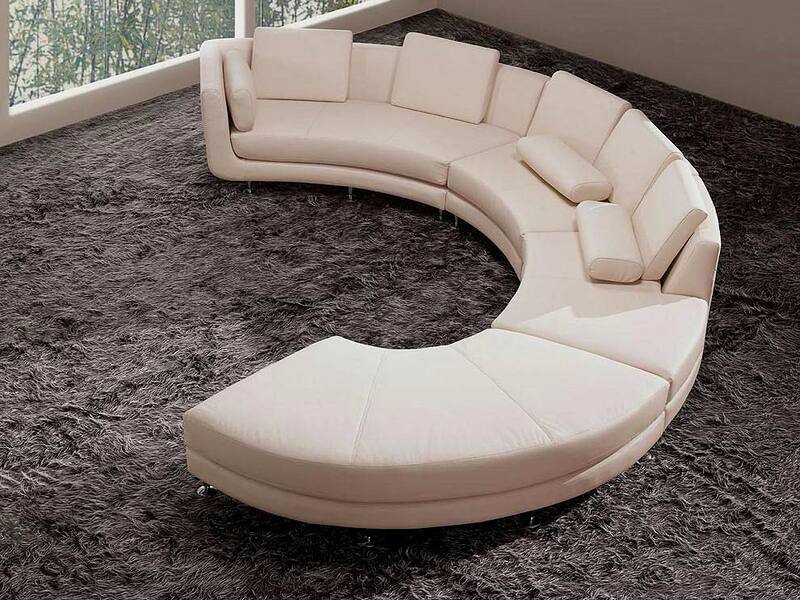 Chic and TOP Design! 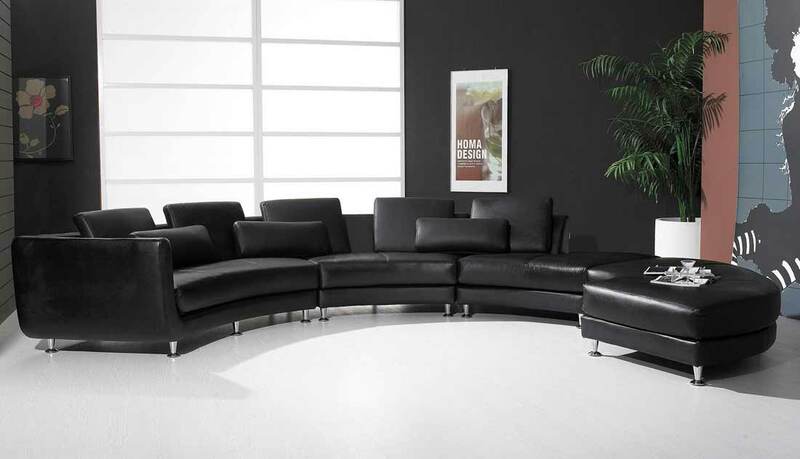 This sectional sofa set will turn your living room into a cozy and luxurious state. Come up with MANY ALTERNATIVES to set up your living space as you like it! 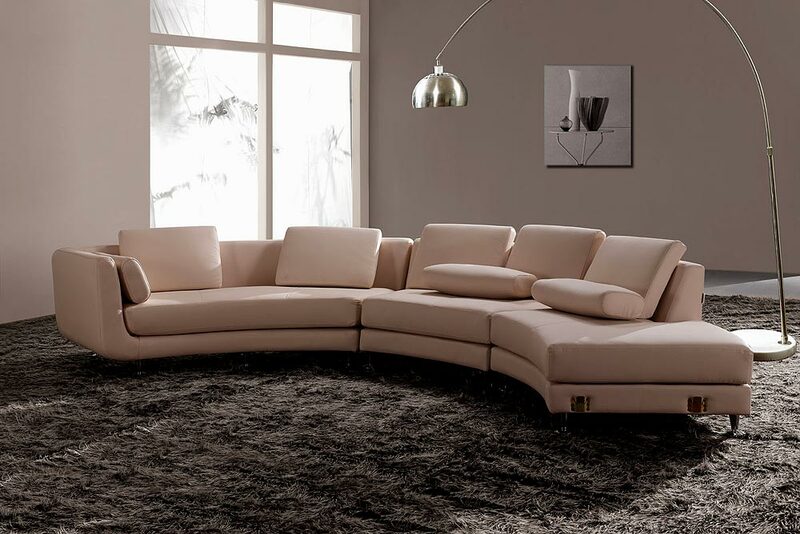 Off White leather have never looked so good like in round sofa collection! 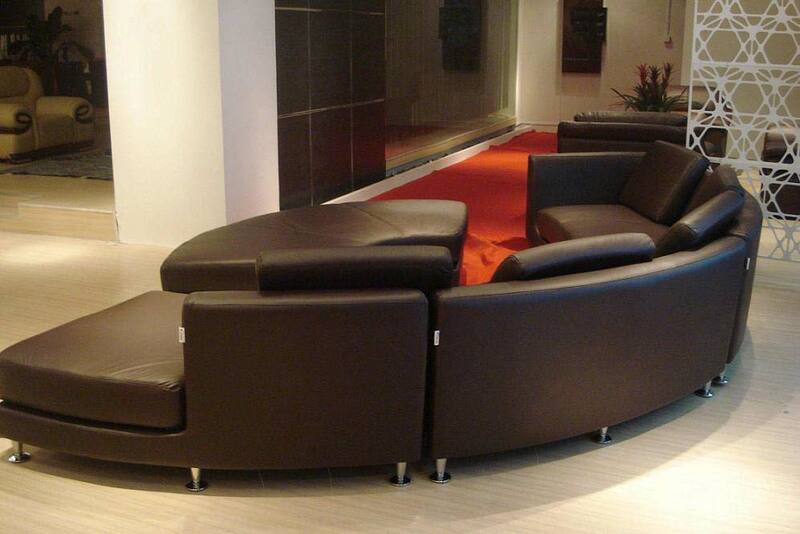 You will love this contemporary design as it will suit your needs to impress all of your guests. All in low cost to you! End corner can also be used as an ottoman or center piece. 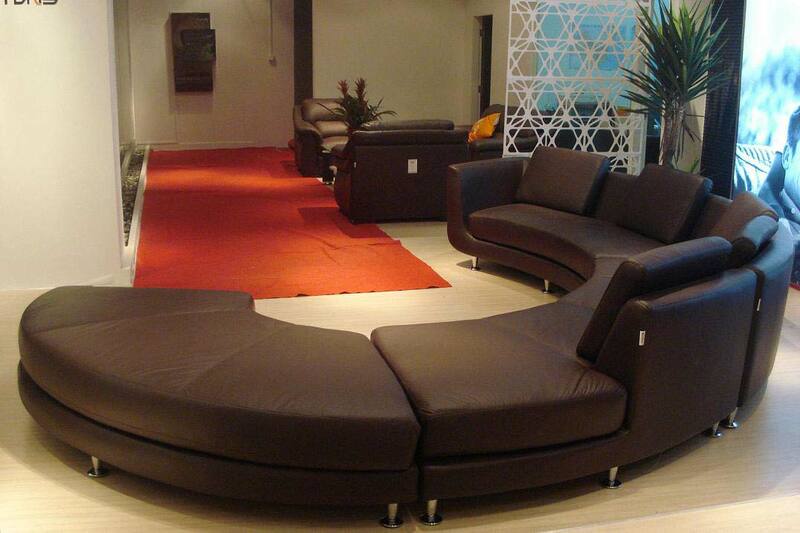 Made of the best leather compounded with quality leather match material. All pillows are included. Off White, Brown, Espresso In stock. 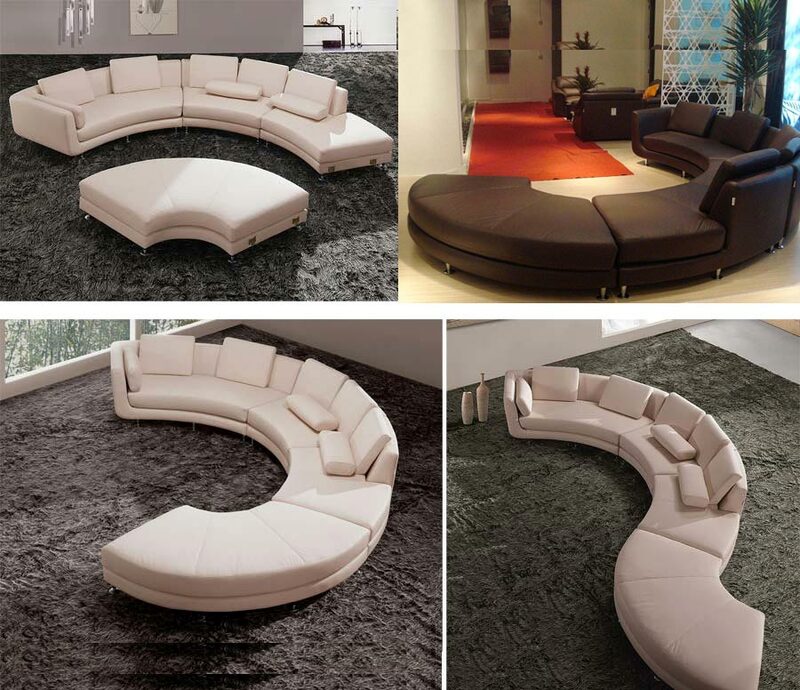 Extra comfort. Off Whtie, Brown, Espresso.